It is a partnership between the Mendip Hills AONB Partnership and the Somerset Community Foundation. It is supported by local businesses who have a badge box, visitor-giving schemes and event organisers. Could your business help by having a badge box on the counter or in reception? 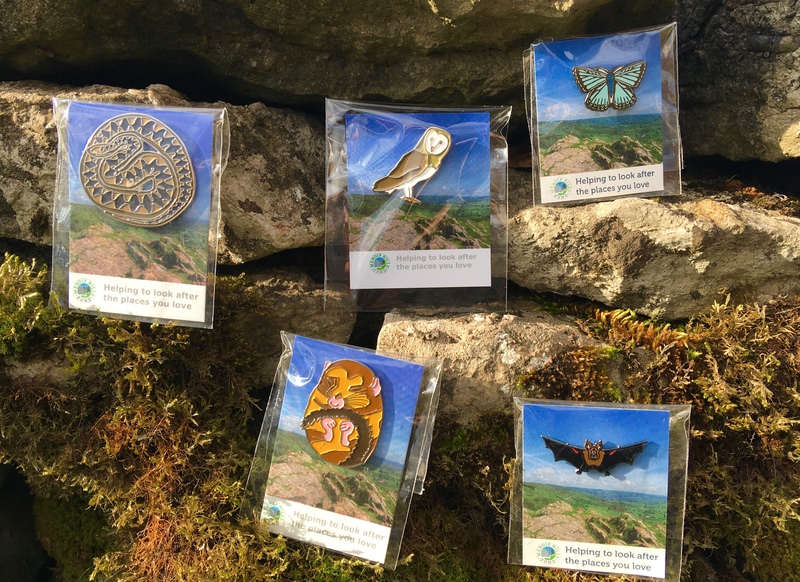 Visitors make a donation for each badge and the money goes to the Mendip Hills Fund. The fund gave £11,000 to local projects last year that help make the area look better and support community groups. An incredible £3,100 has been raised through badge box donations! 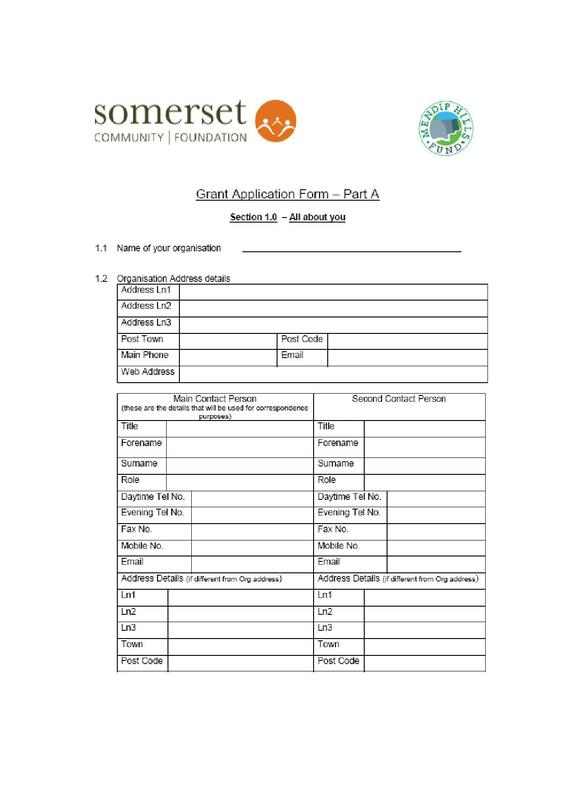 For APPLICATIONS or to make a DONATION please go to the Somerset Community Foundation website, call 01749 344949 or visit the Just Giving page. One of the roles of the fund is ensure people get a better understanding of the area and in turn help to protect it. 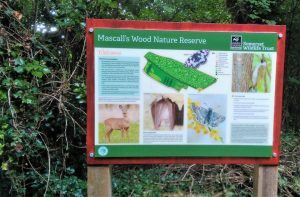 We’re really pleased that the Somerset Wildlife Trust received a grant for this new panel at Mascall’s Wood Nature Reserve, an ancient woodland and part of the ‘complex’ of nature reserves around Cheddar Gorge. Once a week, reception children from Hedgehogs class enjoy walking to forest school in the local woods. 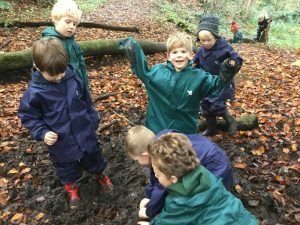 We have lots of fun in all weather; wearing our waterproofs and playing in the mud. 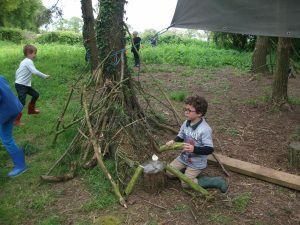 Our favourite activities include den building; making art and crafts using natural materials and outdoor cooking. 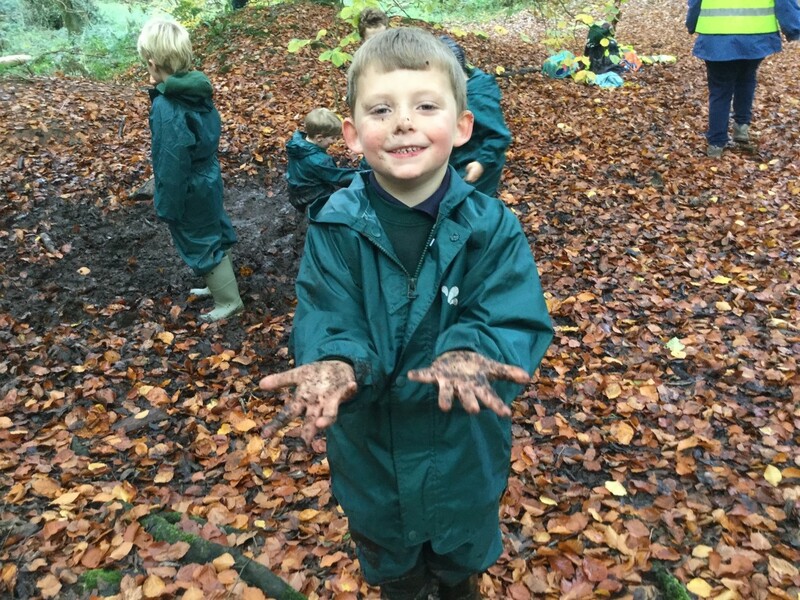 We love getting muddy and playing in the leaves; making things with sticks and playing with our friends. 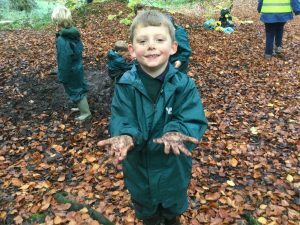 We look forward to going to Forest School every Friday because we always have lots of fun and we love getting muddy. The kind donation from the Mendip Hills Fund was gratefully received and used towards the purchases of: waterproof suits and gloves; first aid equipment; shelters and cooking equipment. 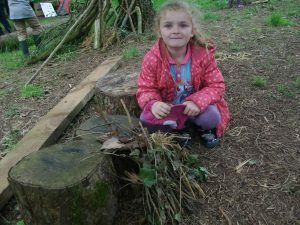 We have loved going to forest school this year! 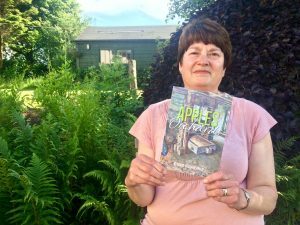 The history of Blagdon’s orchards has been captured in one book thanks to a grant from the Mendip Hills Fund. 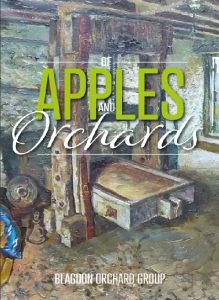 ‘Of Apples & Orchards’ has been written by the Blagdon Orchard Group and collects the history of apple growing and cider production in the area alongside interesting folklore and recipes. Suzanne Wynn, chair of Blagdon Orchard Group, was delighted with the publication of the book. She said the process of producing the book was just as important as the final product as it brought different people and groups together in the community around a common theme. 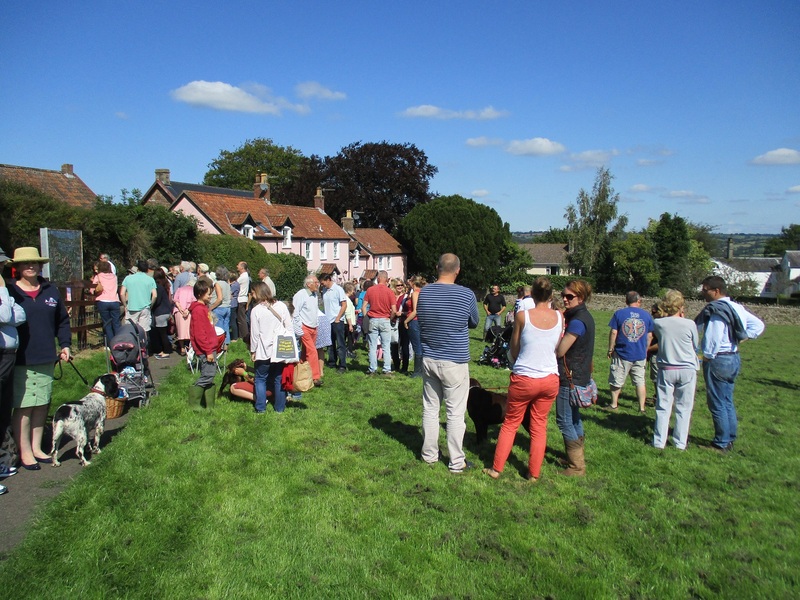 Supporting cultural heritage projects is one aim of the Mendip Hills Fund. 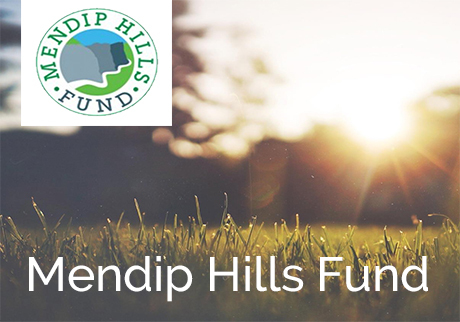 The Mendip Hills Fund is a grant scheme supported by visitor-giving donations and then distributed to projects that improve the environment and community of the area. The AONB Unit and Somerset Community Foundation administer the fund that has given out £15,000 in the last few years. The fund will be open for applications in September. 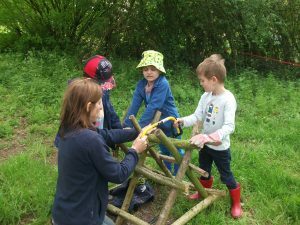 What a success our first Forest School at Tania’s Wood has been. Our Year 1 is a split cohort, so the opportunity for them to come together as a Year group has been invaluable. Well, the benefits have certainly been felt back in school. Next year, they will be brought together as Year 2s. Having the opportunity to work together as a team means that bonds have already formed and next year feels less daunting to them. They have been able to practise skills in real life settings that we just cannot show them in the playground. The variety of wildlife, flora and fauna, whilst encouraged, does not exist in the playground. The activities they do have meaning in the setting. It has improved social skills as they come together to work on challenging projects. Their enthusiasm and willingness to learn and question is evident. The understanding of risk that the children have has increased – they talk about risk and assess situations more readily. As they explore and discover they begin to lead their own learning – which can only be a good thing as we strive to produce citizens of the future who can be the best they can be. Well done to our Year 1s! For a more detailed map of the area please click here. 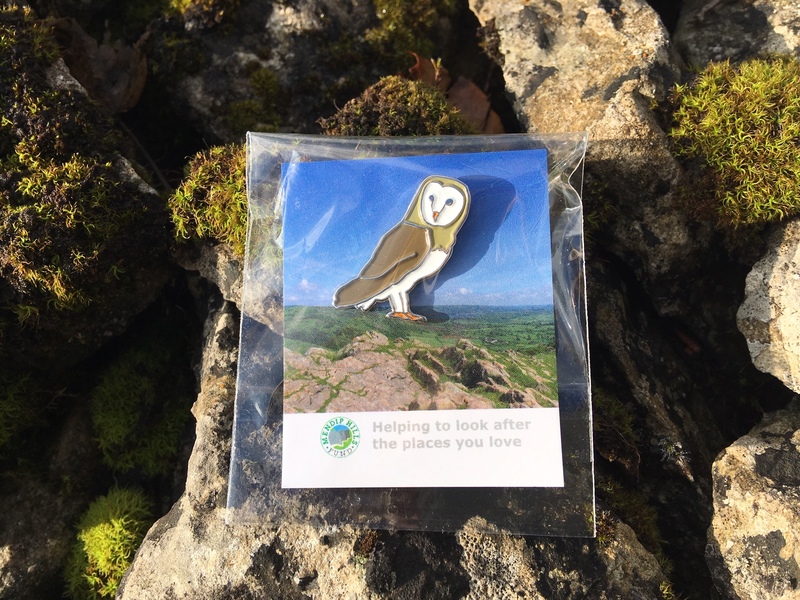 A new Barn owl is now available for a minimum donation of £2 each. WHERE CAN I GET A BADGE? 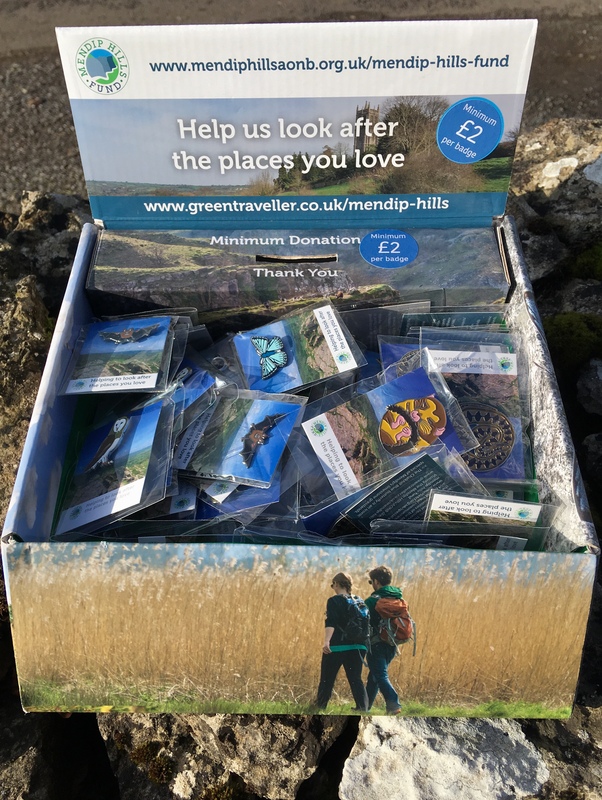 Visitor Giving Scheme – a scheme to raise income for the Mendip Hills Fund through voluntary contributions from visitors, take a look at out Visitor Giving Information Guide for more details. Event Organisers – donations made from event entries helping to raise income for the Mendip Hills Fund. If you are a local business or an event organiser and would like more information on how to support the fund please contact Jim Hardcastle or Sarah Catling.